A friendly staring contest with three endangered Rothschild giraffes. All photos by Ariane Marder. 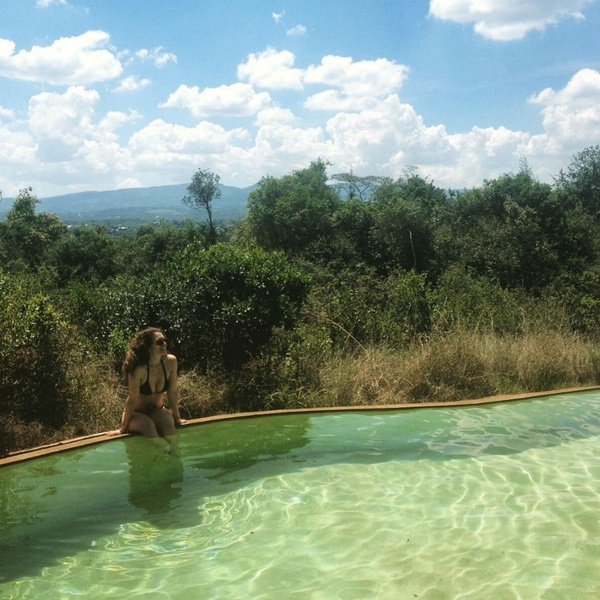 Fathom's Nairobi-based Ariane Marder makes a compelling case for exploring Kenya's capital before heading into the bush. 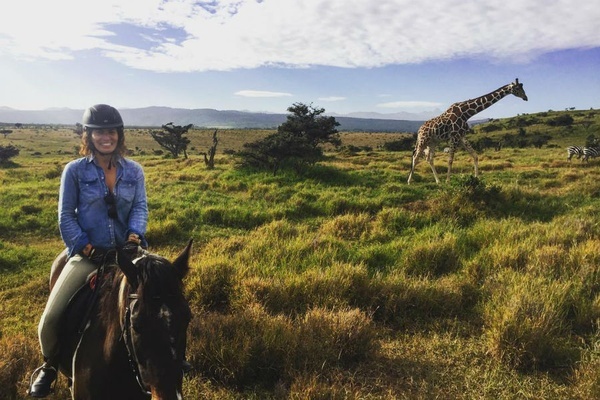 NAIROBI, Kenya – Nairobi has long been a stopover for those headed on safari, a bookend for trips south to the Mara and north to Lakipia, Samburu, and Turkana. But Kenya's capital is a huge, bustling city that deserves more than a pit stop. There's a dynamism to Nairobi that many safari-goers miss out on. I've been living here for close to five months now, getting to know the city and mastering the daily rituals that make life run a little smoother. I've rented a little pool house in the wooded enclave of Karen, where my Western notions regarding electricity and hot water are consistently challenged (as in: I'm lucky if I have them). I've learned the rules of the road (according to my neighbor, “Stay left, close your eyes, and go”), the convenience of MPESA (think Venmo but better), and the charm of organized chaos. I've also learned that despite hearing the contrary, Nairobi has a lot to offer. Long gone are the days of “Nairobbery” -- although a good head on your shoulders and a vigilant eye are still essential. Author Ariane Marder gets her safari on. Making your way to a safari? Jumpstart your adventure with an immediate nature fix. The incredibly underrated Nairobi National Park has 30,000 acres of varied habitat just twenty minutes from the center of town. This is one of the best parks in the country to pinpoint the rare black rhino. When I played tour guide to a New York friend and colleague, we made the mistake of doing a self drive in a rented Mitsubishi sedan, so all we could see was the blur of tall grass, a couple of impala, and a hungry hippo. Avoid making the same amateur mistake and hire a guide with a car or check in for a night at Nairobi Tented Camp, the only one within the park. Either way, you'll have to pony up $80 for park fees. 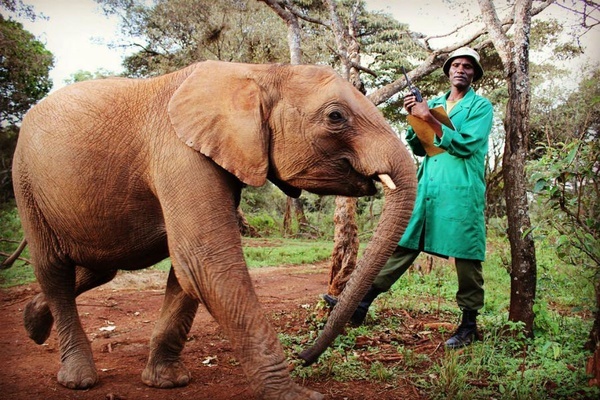 Every time I need to turn my day around, I do what any sane person living in Nairobi does: I visit the baby pachyderms at the David Sheldrick Wildlife Trust, a non-profit that rescues and rehabilitates elephant orphans before reintroducing them to the wild. It's open to visitors every day from 11 a.m. to noon for $3, but if you choose to foster ($50 per year) you can come by at dinner time to see the little ones trotting down the path to return to their bunks for feeding and bedtime. Not only do you get the unique experience of watching babies swaddled in blankets sucking from gigantic bottles, but you also get to meet the extraordinary men who act as their handlers, sleeping with them in their stalls until the babes are able to do so on their own. Sharing the orphanage is a baby giraffe, two female ostriches, and a blind black rhino named Max — who likes it when you scratch him above the eyes. If you'd rather go big, check in for a night at Giraffe Manor, a colonial house turned hotel on twelve acres of private land. I celebrated last Thanksgiving there and spent a surreal evening feeding the resident endangered Rothschild giraffes in lieu of gorging myself on turkey and mashed potatoes. The next morning, a few of the world's tallest animals stopped by my second-story window for a quick pre-breakfast greeting. 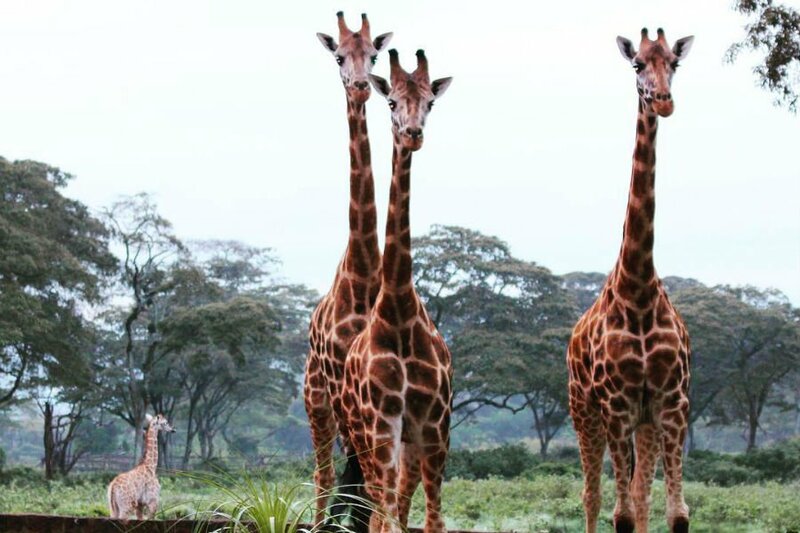 If paying a premium isn't an option, the Manor borders the Giraffe Centre, a nature preserve that allows you a turn at feeding the passing giraffes from a high perch for $10. A young elephant at the David Sheldrick Wildlife Trust. Most days, I make myself very at home with WiFi on the verandah of Tin Roof Café at The Souk on Dagoretti Road. The quaint, shabby-chic spot serves fresh salads, smoothies (the avocado and pineapple is a big hit), savory crepes, hearty quiche du jour, and toasted sandwiches. It's the best place to eavesdrop on the goings-on of the oh-so-intimate ex-pat crowd. Inside The Souk you'll find a collection of shops selling jewelry and accessories by the very talented Sally Dudmesh, leather goods by Linda Camm, African landscape and portraiture photography by Mariantonietta Peru, and a sweet bookshop catering mainly to children. I enjoy popping into Amani Ya Juu, a fair-trade organization that employs marginalized women to produce kid's clothes, handbags, and homewares from local materials. Combine shopping with lunch in the lush garden for satisfying soups, salads, and burgers served with coleslaw and baked beans. There are also kid-sized tables and a playground perfect for traveling families. Back in Karen is my favorite evening haunt, The Talisman restaurant, which consistently delivers a good meal with fresh ingredients plucked straight from the on-site organic garden. On Friday night it's the place for dinner or debauchery or, as the locals would have it, both. If drinking green shots off a wooden tray with a bicycle bell attached is not for you, they also serve a menu that surprisingly delivers on everything from sushi to samosas to steak. The ambience allows for lingering — eclectic and warm with outdoor garden nooks and inviting low sofas surrounding a fire. Be forewarned, once the kitchen closes, drunken revelry of the best kind ensues (picture bar-top dancing, quirky games, and more shots). If you find yourself leaving for safari on one of the light aircraft carriers from Wilson Airport, make time to hit Creative Kitchen at the quirky cool Aero Club. The restaurant is a popular hangout with pilots and engineers refueling with a morning cappuccino or tucking into one of Chef Neil McCarthy's tasty chicken burgers or the Kenyan favorite, Nyama Choma, Swahili for “roast meat.” I often sit in the garden or on the covered terrace to watch the planes take off and land. 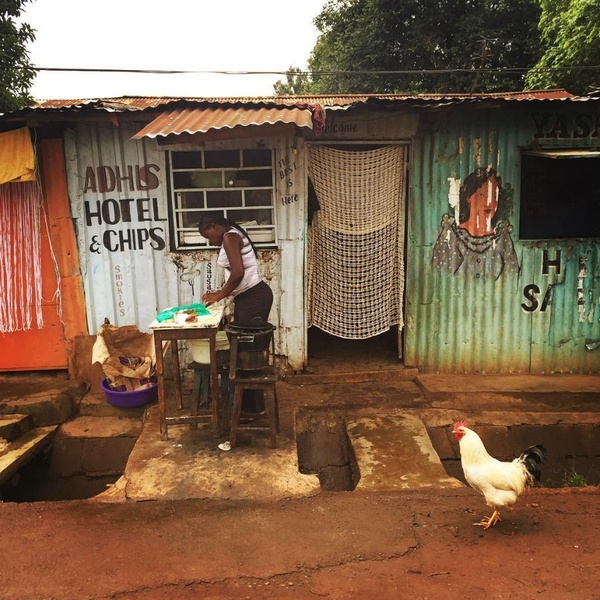 Scenes from Kibera, the largest urban slum in Africa. Juniper Kitchen (Muthangari Drive 0707; +254 707 612585) in Westlands is Nairobi's answer to a Brooklyn hipster haven with a casual, communal vibe. Come to enjoy the backyard setting, eat some grub and sip on a Dawa cocktail, similar to a Caipirinha and Kenya's signature medicinal potion. Stay as the fairy lights go on and music drives everyone to the dance floor. When you're feeling particularly intrepid and want to see another side of the city, arrange for a driver to take you to Kibera, the largest urban slum in Africa. Stay out of the fray by taking Kibera Drive to the north. Just be sure to stop for homemade chapatti, a pita-like flatbread made fresh at a stall on the side of the road. Also worth the effort is an accompanied tour to the West-African market at the Safety Line Lodge, marked only by a blue metal door. Up the dark stairs, you'll find a courtyard lined with rooms where hawkers both live and stock their wares (imagine an exotic collection of textiles, beads and furniture at wholesale prices) giving new meaning to the “live-work” space. I admit that I sometimes check in to Hemingways when my electricity has been out for a few days and I need a little TLC. It's very pretty and clean (if a bit sterile) and each of the 45 rooms comes with a private butler and view of the Ngong Hills (in the shape of God's knuckles). They also have a spa (with sauna and steam room) and they're known as the best place for a steak dinner. Karen Blixen Coffee Garden & Cottages is a charming option with a lot of character. It's on the site of Karen Blixen's coffee plantation and it's very close to the Karen Blixen Museum. Driving in Nairobi (even as a passenger) is the pits. Traffic can be painfully slow-going especially getting across town. The trick, which most hired drivers are well aware of, is to carefully plan your departure. I've found that post-10 a.m. works pretty well, but as in most cities, avoid rush hour and lunchtime. Driver Benson Murigu (254-72-0791622) is both reliable and knowledgeable. Hotels and camps offer laundry service, but most will not wash women's underwear for cultural reasons. They do, however, provide detergent in each bath.